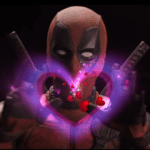 Starring Matthew McConaughey, Richie Merritt, Bel Powley, Brian Tyree Henry, Jennifer Jason Leigh, Rory Cochrane, RJ Cyler, Jonathan Majors, and Eddie Marsan. 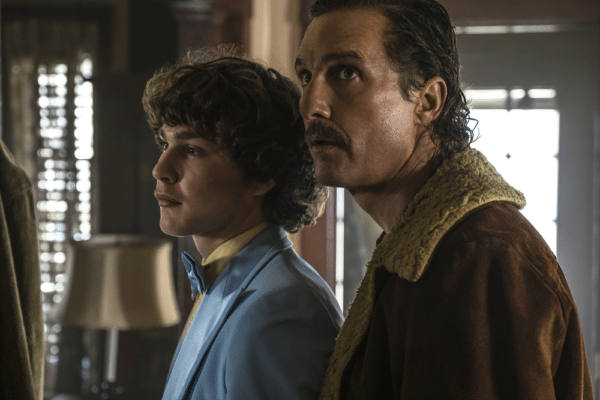 Chronicling the remarkable true story of Richard Wershe Jr (Richie Merritt), the titular ‘White Boy Rick’, who before the age of sixteen had inherited his father’s (Matthew McConaughey) knack for making a dollar from low-key criminal activity, only to create a small empire that had him embroiled in a tangled web of federal agents and gang members in 1980s Detroit. From the outside, ’71 director Yann Demange’s baby faced Scarface looks like it’ll be a fascinating true-crime drama that’s spun for laughs, shock-factor, and the skate-disco nostalgia of Run-D.M.C. and Afrika Bambaataa. 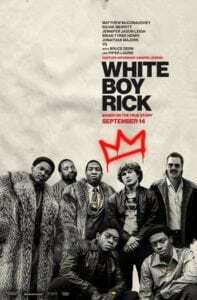 It’s undeniably those things, in all the best ways possible, but scratch beneath the surface of the bleak underbelly in poverty line Detroit, and in White Boy Rick you have one of the most stylish, affecting, and wonderfully acted films of 2018. 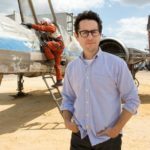 The story’s strength is in its evolution; you go from being caught up in the neon lights, recognisable riffs, and quintessentially 80s hairdos, which provides a foundation on which to paint a set of character’s you’re led to believe that you can second guess, before it, and they take you in a completely different direction. McConaughey as irresponsible dad, Bel Powley as the rebellious, drug addict daughter, and Rick, a smart talking kid at a crossroads in his young life. 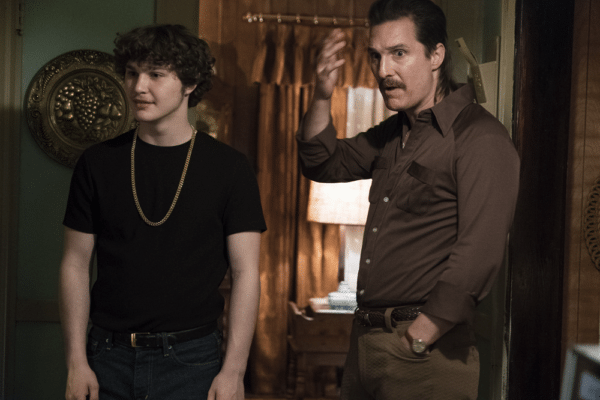 They’re people and stories that we think we’ve seen before, but White Boy Rick excels in the way in which it subverts your expectations for this family, and weaves a narrative so full of heart, that by the time the ending comes around, it has walloped you in the solar plexus. The majority of this emotional heft can be found in the chemistry and performances of McConaughey and Merritt, their impact running parallel, as two characters who step into our viewing window as wannabe alpha males, wielding guns and wise-cracks. Their transformation into wholly empathic, heartbreakingly flawed people is fascinating to watch. Debutant Merritt goes from hulking great 14-year old with occasional chip on his shoulder, capable of intimidation and anger, to a puffy-faced, misty eyed kid, and you completely buy this arc, making his ultimate fate even more devastating. That feeling is heightened by McConaughey’s complimentary turn as his father, with a similarly developed storyline in which he adds real depth to the recognisable bells and whistles McConaughey manner in which his character is introduced. It morphs into a quite delicate portrayal of fatherhood, and is arguably his best performance since The Dallas Buyers Club. The supporting cast also offer up some highlights, with RJ Cyler impressing as one of the more affable members of the Detroit gang that take Rick under their wing, and Bel Powley is great in a role that could have threatened to tip into cliché, but in the end contributes to the strong family unit at the core of the film. Understandably, the rest of the ensemble, including Jennifer Jason Leigh and Atlanta‘s Brian Tyree Henry, take a back seat to the father/son duo, but still make an impact in minor roles. Using the cold Detroit backdrop to ram home the severity of their below the breadline situation, Demange’s film flits between beautifully bleak cinematography, and the colourful vibrancy of the 80s music scene, highlighting the lifestyle that they risk everything to attain. Perhaps the only complaint would be the pacing of the true-story timeline, with Rick’s ascendency to ‘Kingpin’ and the final reel ramifications feeling a little bit rushed, but it’s only because you’re invested in the fate of these characters that such minor quibbles matter. With a foot-stomping soundtrack that’ll have you attempting your own electric boogaloo, White Boy Rick is style and substance, all bolstered by authentic performances and an intensely moving story that’ll catch you off-guard.